Shirley Veronica Bassey was born in 1937, in Tiger Bay, Cardiff. Her father was a Nigerian seaman and her mother came from Yorkshire. Tiger Bay was tough neighborhood and Shirley was the youngest of seven children. At age two her mother was left a single parent. The 15 year old Shirley started work in a packing factory and made extra money singing in the local pubs and clubs. From 1953 onwards she appeared in reviews but when she fell pregnant aged 16 she gave up performing. Shirley’s talent had been recognised and in 1955, booking agent, Michael Sullivan took her under his wing. She moved to London and was signed for Philips Records. "Burn My Candle" was released in 1956 and despite suggestive lyrics the single sold well, as did the sequel "Banana Boat Song", which peaked at number 8 on the UK singles chart. In 1958, Shirley recorded for American producer Mitch Miller on the Columbia label, and the single "If I Had A Needle And Thread"/"Tonight My Heart She Is Crying" was moderately successful. Meantime back in the UK Shirley recorded “Hands across the sea” which did less well but the b side "As I Love You" took hold and eventually the record reached Number 1 in the charts. Because it was a sleeper the subsequent single was released called, "Kiss Me, Honey Honey, Kiss Me". both records shared the number three position in the charts. Shirley was a star and although success in the US had so far eluded her an allegiance with Nelson Riddle in 1962 increased her prestige. During the early 60s she became a headline act and appeared in both New York and Las Vegas. Once she was chosen to record the theme tune of the new James Bond film, Goldfinger, her pathway to superstardom was assured. Shirley became an International success and signed for United Artists label. In 1970 Shirley released the album "Something", with a single of the same name. It was a cover version of the original Beatles song and became a classic. A year later she recorded the title theme for "Diamonds Are Forever", and completed her hat trick of Bond songs with Moonraker in 1979. Shirley had now established herself as an international cabaret star with her album selling millions of copies. In 1981 she retired to Switzerland but continued to perform and toured throughout Europe and the United States. Her recordings were less frequent but all the more appreciated by her fans. Like many artists of her calibre, she enjoyed collaborating with others and found herself back in the charts in 1997. This time it was collaboration with Propellerheads and the single was "History Repeating." Like Tom Jones, Shirley Bassey was introduced to a new generation of fans. A year later, Dame Shirley Bassey toured the UK to sell out audiences. 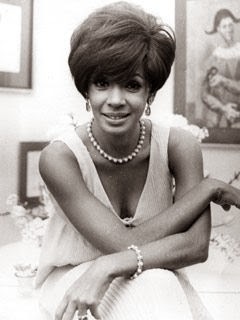 Shirley Bassey’s career has spanned four decades during which she had thirty-one hits, making her Britain's most successful female chart artist of all time.